Singer Alicia Keys has released the visuals for her latest single "It's On Again", which is the official soundtrack for the 2014 film Spiderman 2. 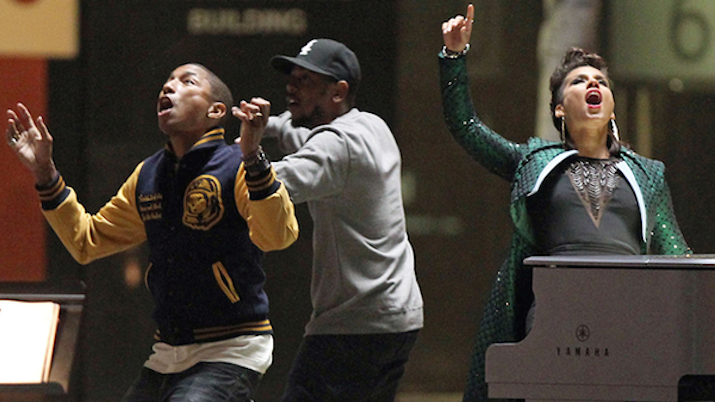 Alicia Keys Recruits Kendrick Lamar & Pharrell For "It's On Again" New Track + Pharrell Joins NBC's "The Voice"
Alicia Keys has recruited some hip hop heavy hitters such as Kendrick Lamar, Pharrell Williams and Hans Zimmer for her "Amazing Spider-Man 2" track entitled, "It's On Again." In what would seem like a slightly awkward scenario, producer Swizz Beatz seemed to have pulled of a P. Diddy move by going on vacation with his wife Alicia Keys and ex-wife Mashonda Tifrere ... leaving the bad blood between them in the past. Their kids Egypt and Kasseem Dean Jr. also soaked up some sun on Nikki beach! Alicia Keys didn't disappoint when she appeared on the 2014 56th annual Grammy Awards red carpet in a blue Armani Prive dress, showing off her curves and a lot of cleavage. 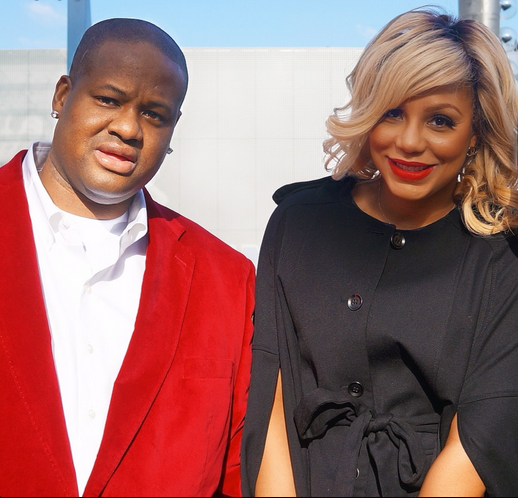 NEW VIDEO: Tamar Braxton's "All The Way Home" & "She Can Have You" + Alicia Keys' "I'd Die Without You"
On Wednesday (Dec. 4), R&B singer Tamar Braxton appeared on BET's '106 & Park' to debut her two new music video for "All The Way Home" (which is off her Love & War album) and "She Can Have You." Erica Mena Shades Alicia Keys While Talking About Peter Gunz & Amina's Relationship; "Amina Messed Up A Happy Home Just Like Alicia Keys"
"Love & Hip Hop: New York" Erica Mena is up to no good again as she stirs up some old drama by comparing her fellow co-stars Peter Gunz and his wife Amina Butterfly's situation to that of Alicia Keys and Swizz Beatz. Last night, Jennifer Hudson and Alicia Keys attended the premiere of their upcoming movie "The Inevitable Defeat of Mister & Peete" in New York City. POLL: Are You Loving Alicia Keys' New Hair-Do? + Check Out Alicia's SIZZLING PERFORMANCE On "Good Morning America"
On Friday morning, Grammy-award winning singer Alicia Keys appeared on Good Morning America' Summer Concert stage in Central Park to perform a few of her hit singles and to debut her new hair-do. 32 year-old R&B singer Alicia Keys is the new cover girl for UK's Marie Claire Magazine July 2013 new issue, and opens up about her initial dislike for her husband and rapper Swizz Beatz when they first met. The singer, who has a two-year-old son Egypt with Swizz, opened up about their long journey to romance during a sit down with the magazine and says she found Swizz to be annoying at first. "Honestly, I didn't really like him that much. I thought he was ostentatious. He'll drive the fastest, brightest car, wear the biggest jewelry, the loudest jacket; everything with him is really over the top." "I was like, he is so annoying," she said, reminiscing about when she saw him drive past a restaurant in a huge white Rolls-Royce Phantom." But after years of getting to know each other, and not quite managing to work together, the couple found themselves in the recording studio and a relationship soon followed. A relationship that turned controversial all because Swizz was already married to his now ex-wife Mashonda. The Grammy-award winner then tells the magazine, 'I fought tooth and nail because I didn't want to work with him. Finally though, we did it and we had a ball." "I think we've taught each other a lot. And he's taught me how to live more fully and I've taught him how to live more deeply." The singer also admitted that she struggled with negative attitudes of people close to her during her rise to fame, "there might have been people in my life who, now, when I look back, I realize were kind of insulting or abusive-verbally or emotionally- or just not supportive." 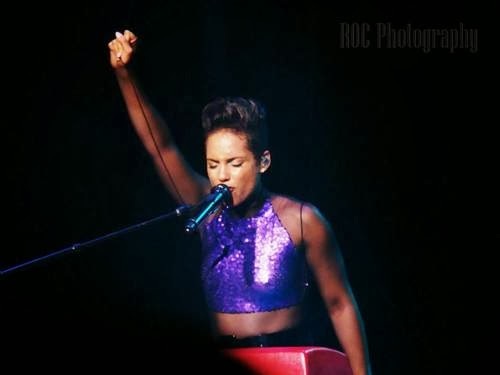 Alicia Keys SHOWS OFF Her Curves While Performing At The Staples Center In Los Angeles! Fresh off her Vancouver and Oakland shows earlier this week, Grammy-award winning R&B singer Alicia Keys continued her "Set the World on Fire" tour making a stop at the Staples Center in Los Angeles on Tuesday night.